Flip the switch. Plug it in. Americans rely on a constant supply of electricity. Where does all that power come from? Burning fossil fuels—coal, oil, and natural gas—has been the most common way to generate electricity. But that releases greenhouse gases that contribute to global climate change. Although no energy source is perfect, using renewable sources including solar energy is becoming an important option. 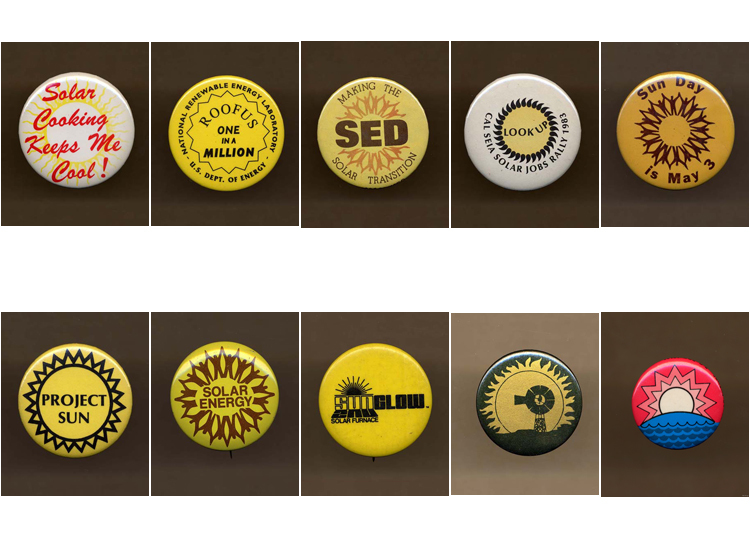 Buttons advocating solar energy, 1970s and 1980s. For many people, the 1970s energy crisis was a call to action to change how electricity was generated and used. Making the choice to “go solar”—and encouraging others to do the same—reflected growing optimism about the potential of clean, accessible solar energy. Electric power lines have been connecting generating plants to customers since Thomas Edison put lines under the streets of New York City in 1880. 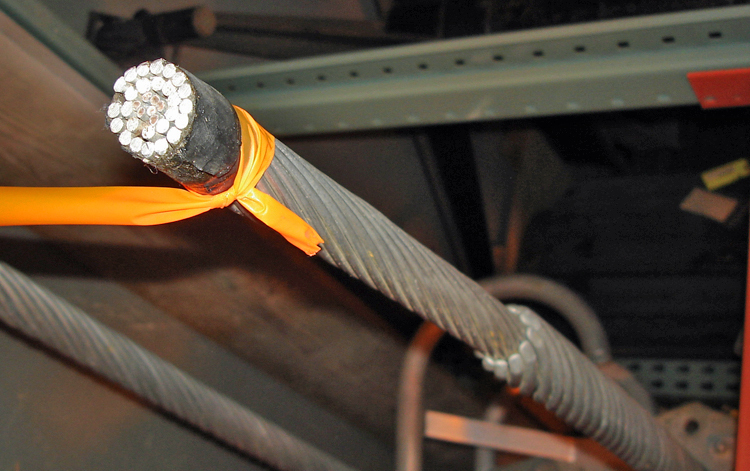 Today aluminum lines like this one carry electricity hundreds of miles. Keeping a steady flow of electricity in the grid while adding intermittent power from many dispersed solar panels is an engineering challenge.